In small animal veterinary practice many animals are brought to veterinary clinics suffering from joint-related pathologies. 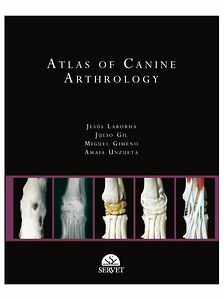 In this book you will find a dependable, clear and concise anatomical reference for all the joints of the dog. The joints of both the axial and appendicular skeleton are illustrated along with their constituent soft tissue elements. Articular anatomy is presented visually in a variety of orientations, making information easily accessible for the reader without relinquishing important anatomical detail.